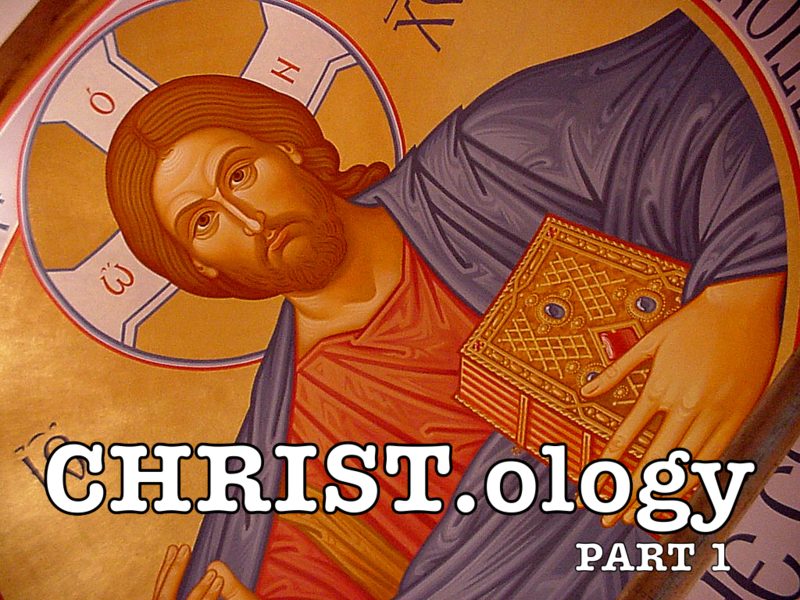 Today begins a three-part series of blogs I plan to post on Christology. These are based on a three-week Bible study I am leading at Concordia’s Men’s Bible Breakfast on Tuesday mornings. If we lose a proper Christology, Luther argues, we lose all of theology and quickly lapse into rank heresy and wickedness. Therefore, Christology is foundational for everything we believe, teach, and confess. This is why it’s so important. Two things are especially notable about this exchange between Jesus and his disciples. First, the answers of the people as to Jesus’ identity are notable, especially when considered in light of Mark 6:14-15: “King Herod heard about Jesus’ miracles, for Jesus’ name had become well known. Some were saying, ‘John the Baptist has been raised from the dead, and that is why miraculous powers are at work in him.’ Others said, ‘He is Elijah.’ And still others claimed, ‘He is a prophet, like one of the prophets of long ago.’” These answers to Jesus’ identity of John the Baptist, Elijah, and one of the prophets were apparently stock answers. Herod Antipas believes that Jesus is John the Baptist come back to life to haunt him because he had earlier beheaded him. Peter however, has a different answer, “You are the Christ, the Son of the living God.” Peter defies all the stock answers and affirms Jesus’ divinity as “the Son of the living God.” He confesses good Christology. And this leads to the second especially notable thing about this passage. When Jesus asks, “But what about you? Who do you say I am?” the “you” is plural. It’s “y’all.” In other words, even though Peter is one who answers Jesus’ question, Jesus is positing this question others as well. Indeed, this is a question that Jesus asks every disciple, including you. And this means that every disciple must answer for him or herself, including you. Thus, Christology is vital because Jesus himself asks us to confess who he is. Do you have an answer to Jesus’ question? In Matthew 16, the Christological problem is that those outside of Christ’s church are being deceived as to Christ’s identity. In 2 John, the problem is that some inside the church are trying to deceive others as to Jesus’ identity. And interestingly, they do this not so much by denying his divinity as they do by denying his humanity: “Many deceivers, who do not acknowledge Jesus Christ as coming into the flesh, have gone out into the world” (2 John 7). This heresy seems to be rooted in a philosophy called Gnosticism, which denied that the eternal God could or would ever want to become human. Thus, there were teachers who taught that even though Christ seemed human, his humanity was merely an illusion. We’ll look at this heresy more in-depth when we study the Docetists. For now, suffice it to say that John thunders against such people: “Do not take these people into your house or welcome them” (2 John 10). But doesn’t this seem a little harsh? After all, isn’t Jesus known as a man who “welcomes sinners and eats with them” (Luke 15:2). Yes, but those “sinners” were people outside the faith who Jesus was evangelizing so that they might believe. In John’s case, there are people inside the faith – supposedly, at least – who are, through their false teaching, seeking to drag faithful Christians away from Christ. To them, John responds the same way that Jesus responded to the religious leaders of his day who also supposed themselves to be in the faith while leading people astray: “You brood of vipers, how can you who are evil say anything good” (Matthew 12:34)? Thus, in these two passages, we read of the heart and soul of Christology. Jesus is “the Christ, the Son of the living God” (Matthew 16:16). That is, Jesus is true God. But Jesus has also “come into the flesh” (2 John 7). That is, Jesus is also true man. True God. True Man. This is Christ. And this is Christology. Entry filed under: Christian Doctrine. Tags: 2 John 7-11, Christology, Martin Luther, Matthew 16:13-16, Two Natures in Christ.